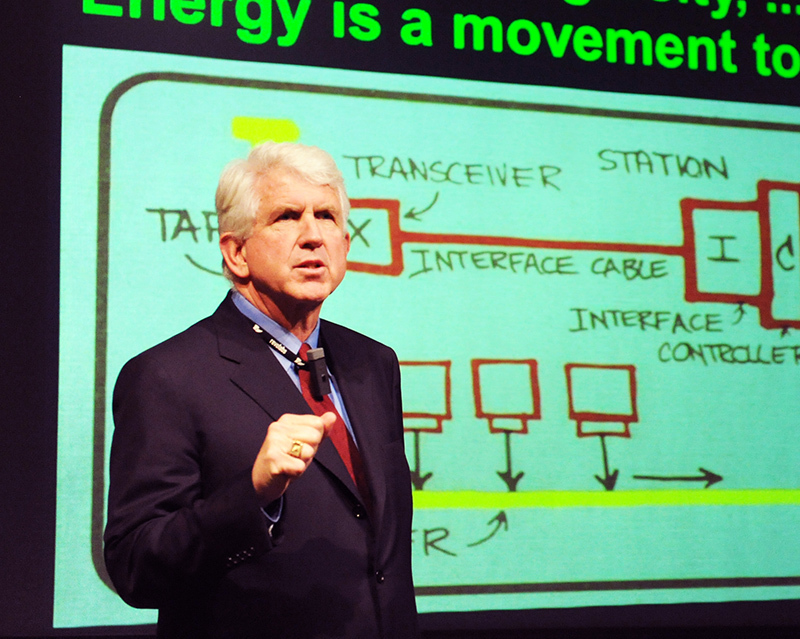 Led by Professor of Innovation and Ethernet inventor Bob Metcalfe, the Innovation Center in the Cockrell School of Engineering aims to accelerate the impact of faculty inventions by using startups as vehicles of innovation. The center organizes special startup events throughout the year, holds meetings with new and serial inventors, provides one-on-one consultation and helps build strategic connections and partnerships that can turn research projects into successful startups. As a team of experienced entrepreneurs fully dedicated to helping researchers transform their ideas into companies and licensing opportunities, the Innovation Center has been instrumental in helping UT — along with the city of Austin — develop a dynamic, world-class innovation ecosystem. The stARTup Studio, led by Bob Metcalfe, is an event held multiple times throughout the academic year that provides UT professors guidance in the "art" of technology commercialization. Professors are invited to present their discoveries, inventions and startups at small, informal gatherings including local industry experts and entrepreneurs. Sponsored by the UT Austin Office of Technology Commercialization and Austin Chamber of Commerce, attendance at stARTup Studios is by invitation only. The Selig Entrepreneurship Prize competition is held in both the Fall and Spring semesters and augments the senior design project experience for engineering students by focusing on commercializing their technology. The competition and the preparation for it gives students the opportunity to take their senior project to the next level and advance their entrepreneurial experience. This competition is made possible by the Marvin and Ellie Selig Excellence Fund in Entrepreneurial Studies.